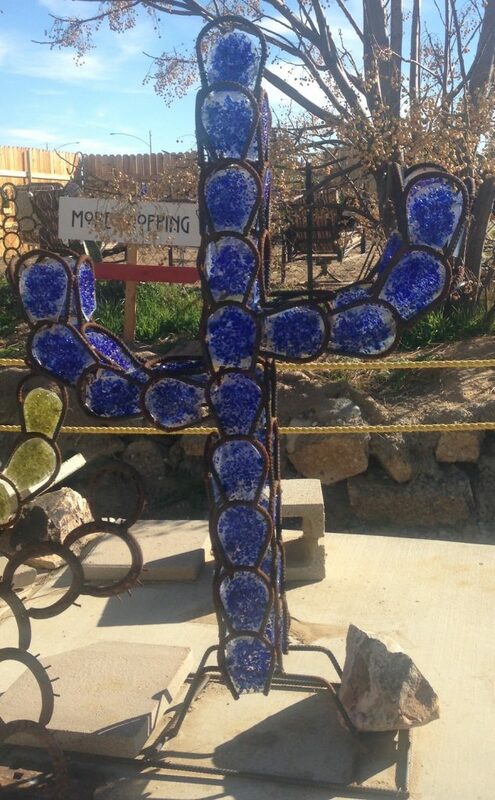 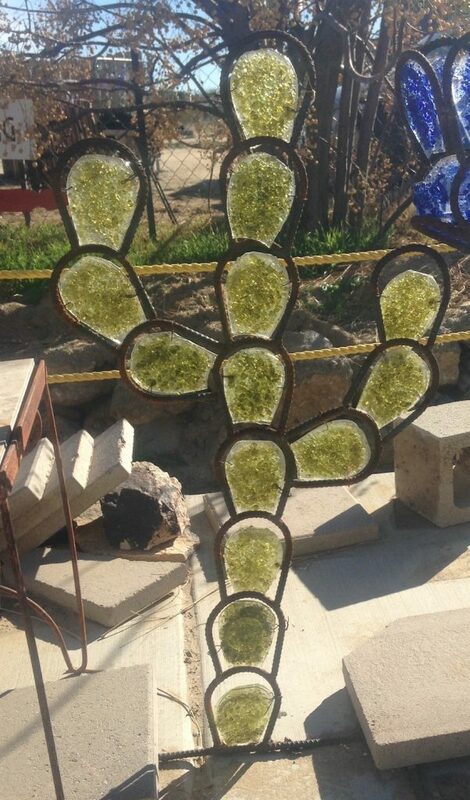 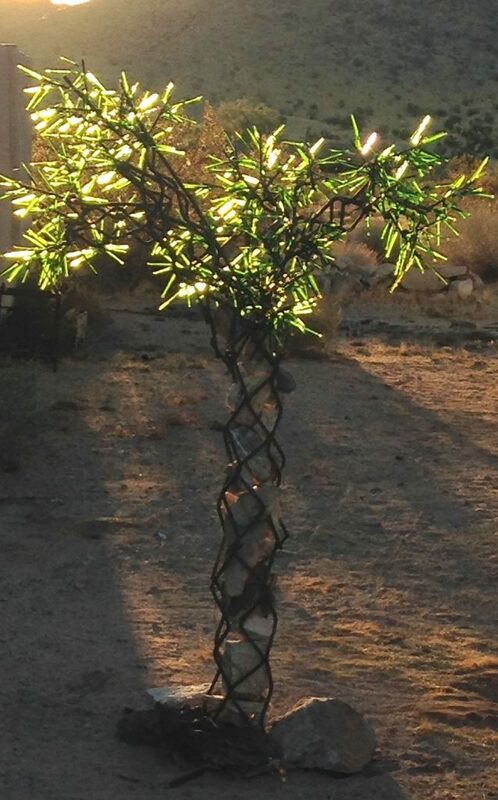 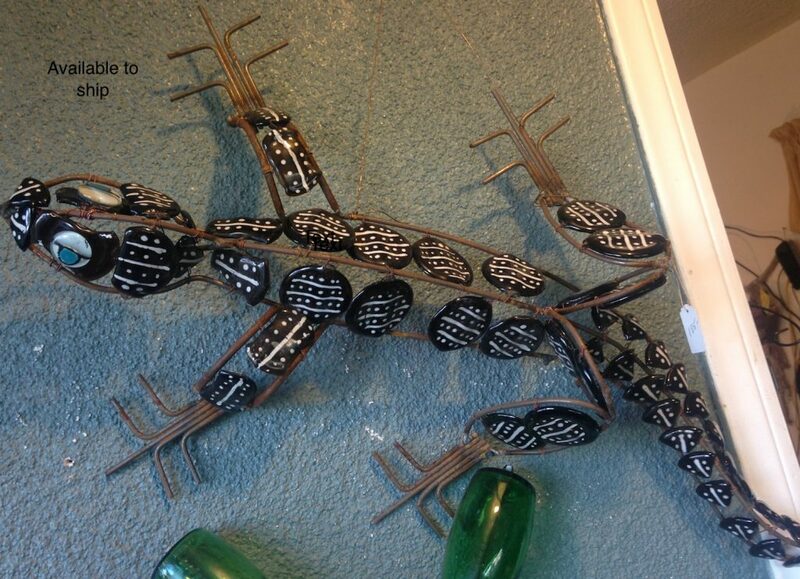 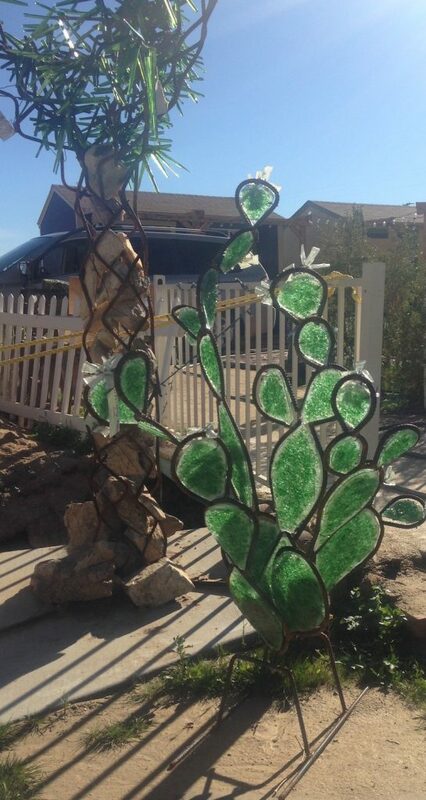 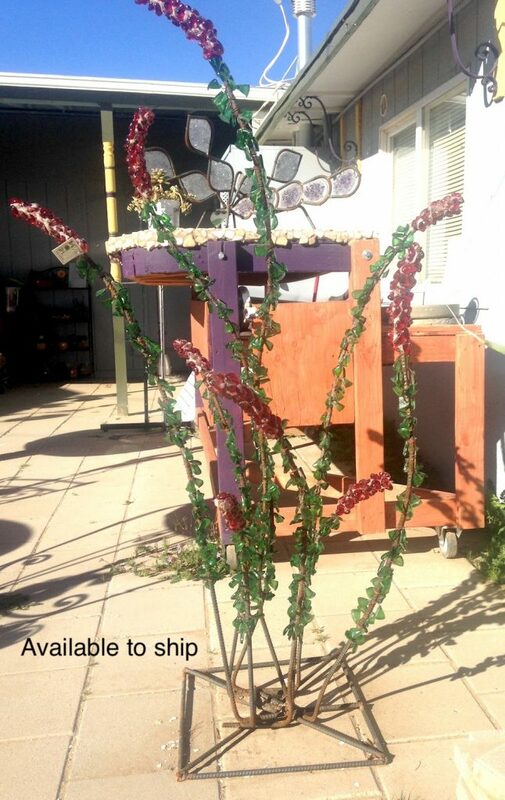 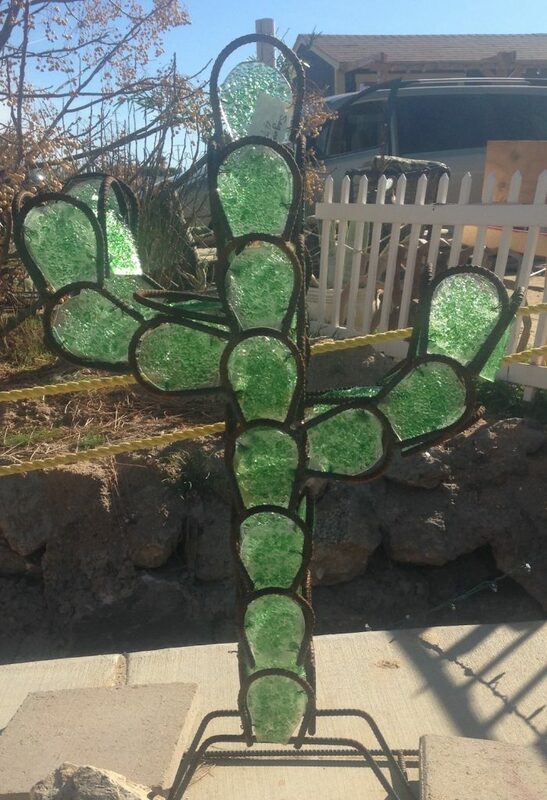 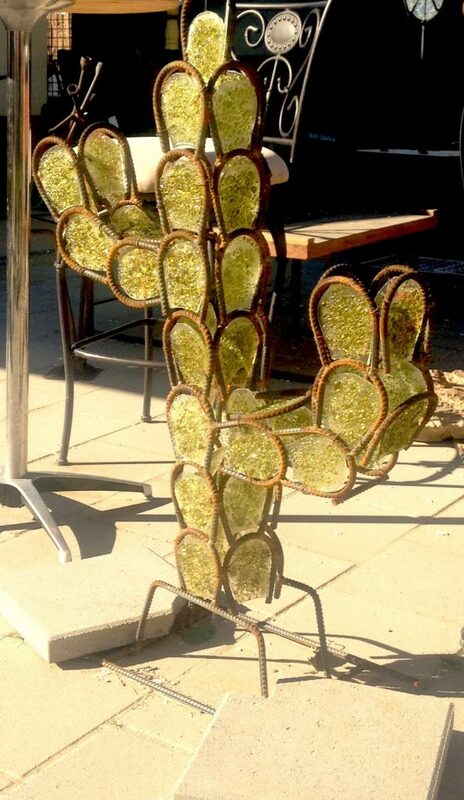 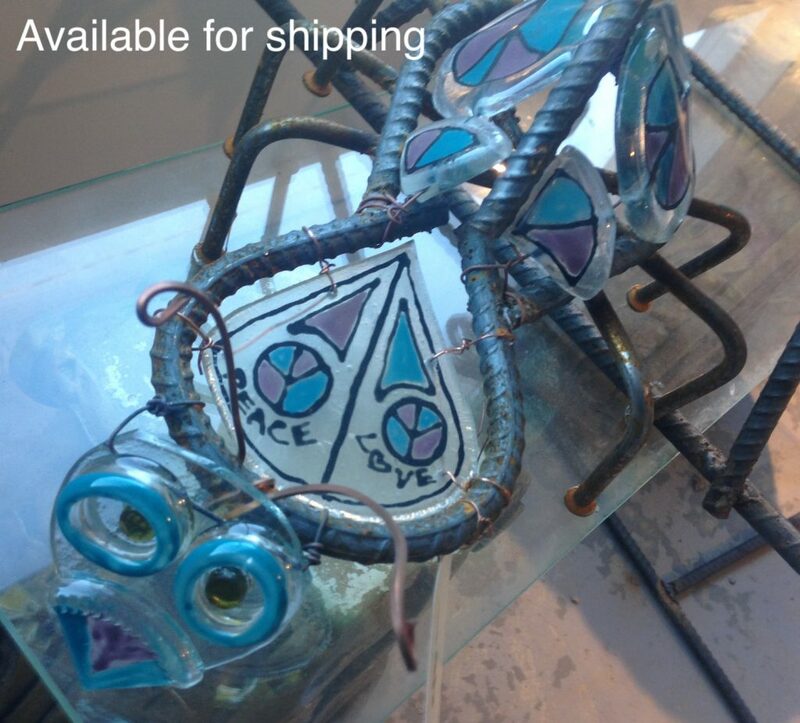 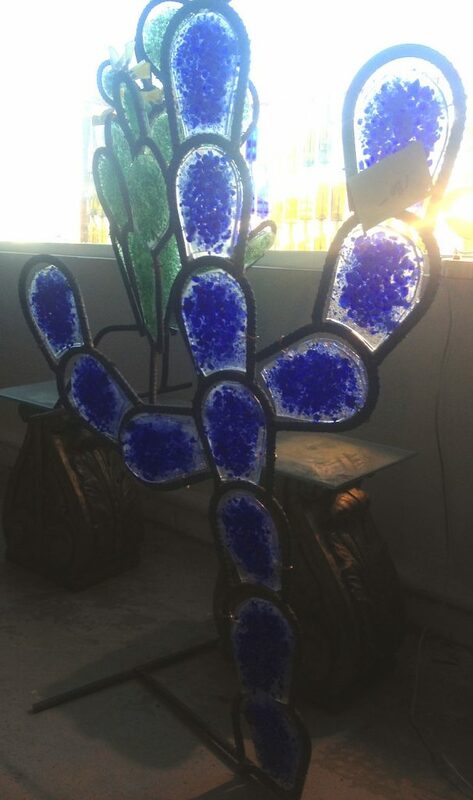 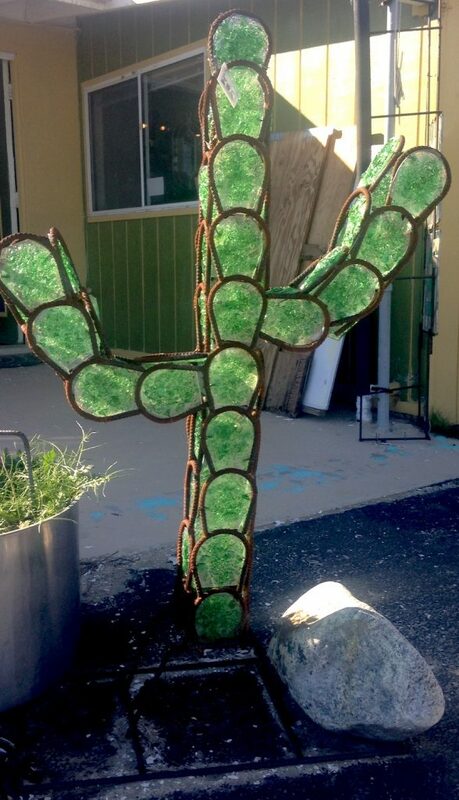 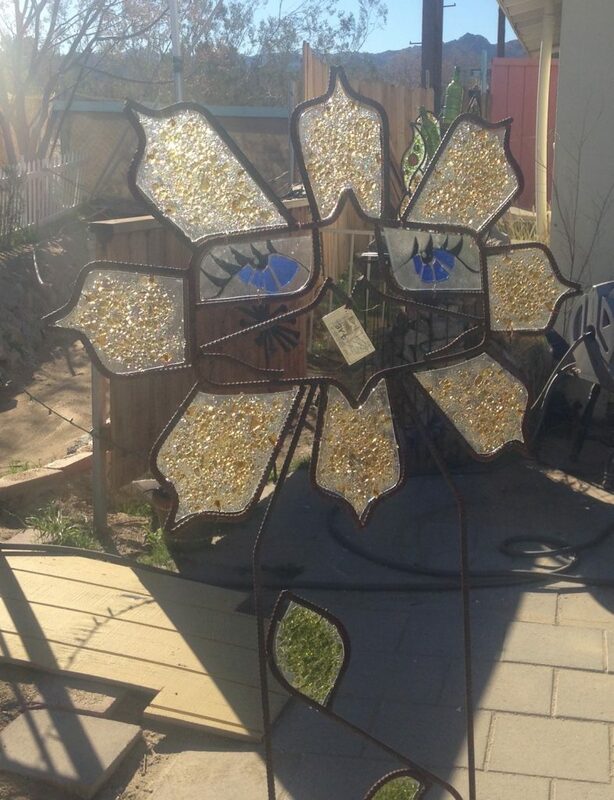 Ocotillo glass sculpture – tallest branch of 8 measures 5 feet. 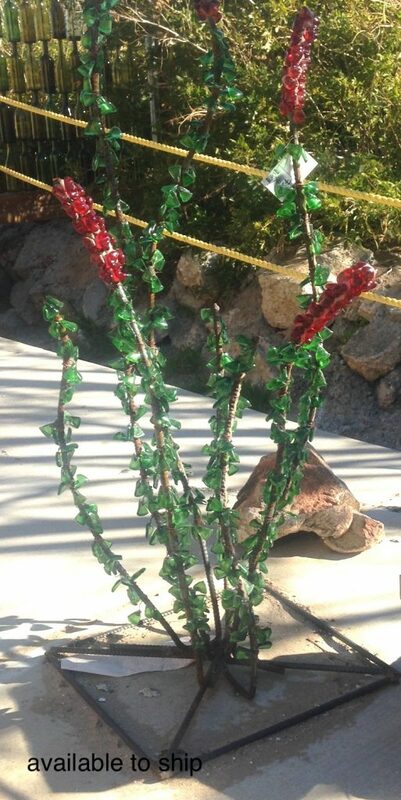 Ocotillo bottle glass sculpture – highest branch of 13 total measures approx. 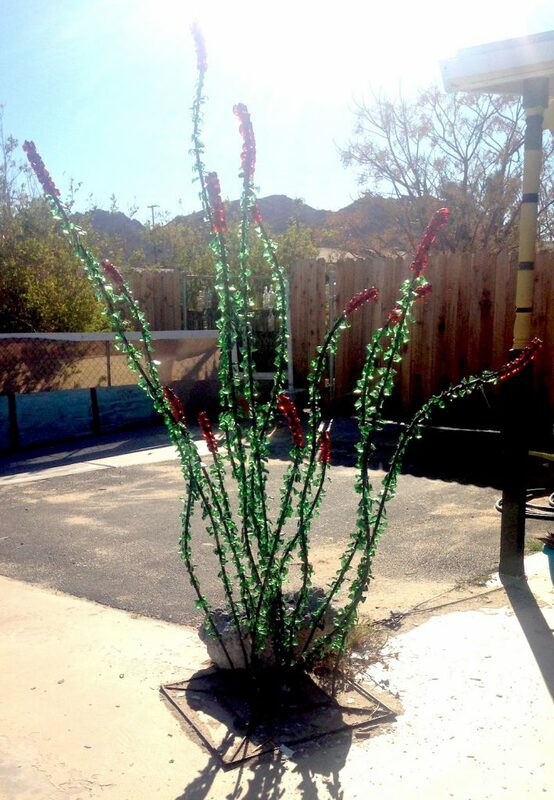 8 feet. 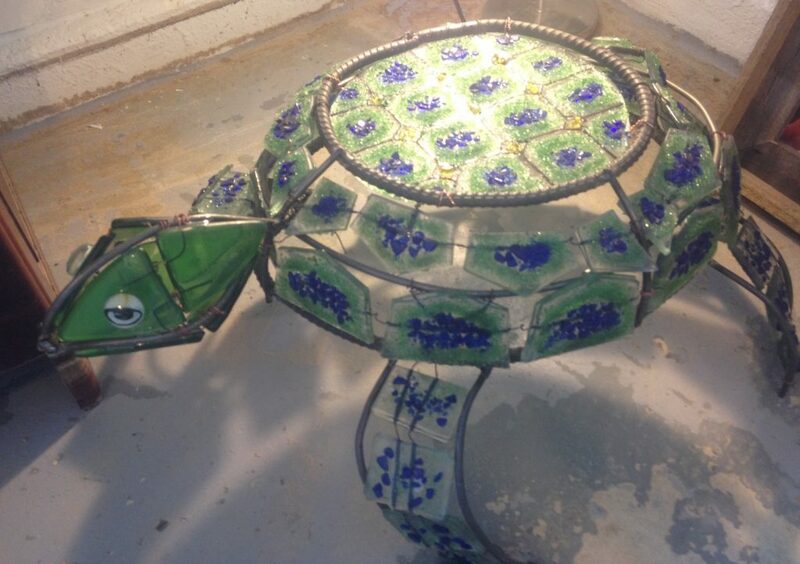 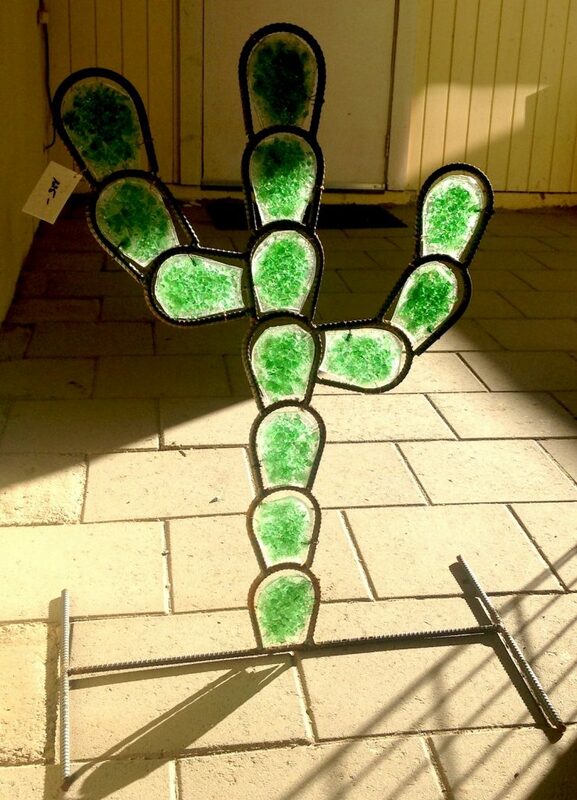 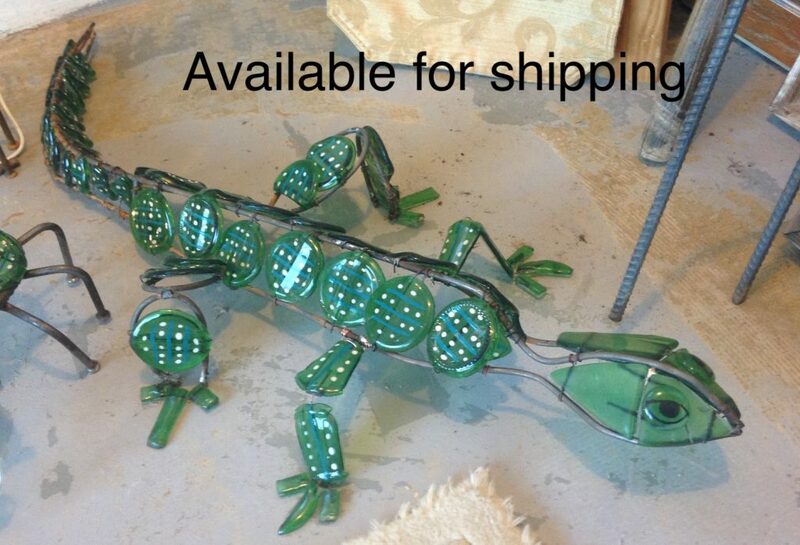 Green dot recycled glass yard buddy. 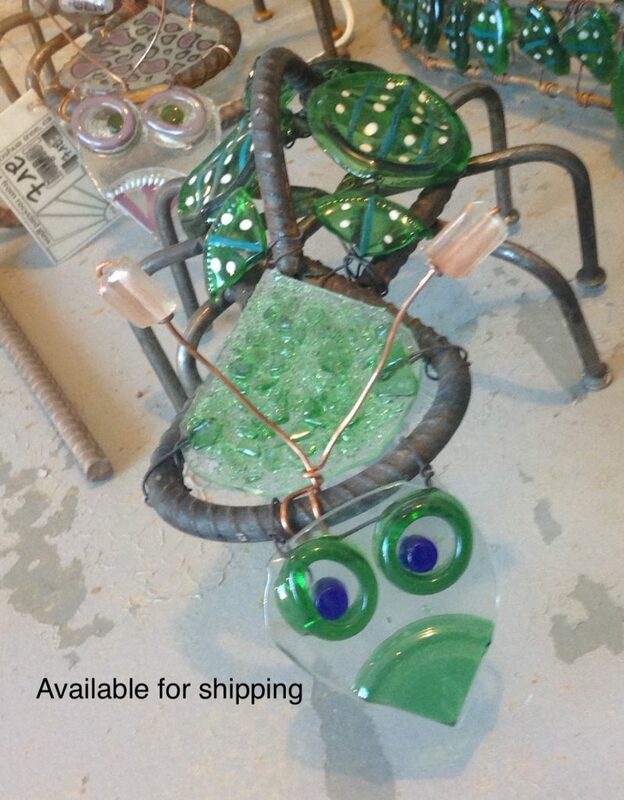 No extra charge for cuteness!